“What about confusing clutter? Information overload? Doesn’t data have to be ‘boiled down’ and ‘simplified’? These common questions miss the point, for the quantity of detail is an issue completely separate from the difficulty of reading. Clutter and confusion are failures of design, not attributes of information.” Tufte’s beautiful, intransigent books transform our apprehension of the commonplace: A map, a weather chart, a display of T-shirts may be a thing of glory or an outrage to humanity. Detail from Edward Tufte’s Envisioning Information (Graphics Press, 1990). Guide for visitors to Ise Shrine, Japan, 1948–54. 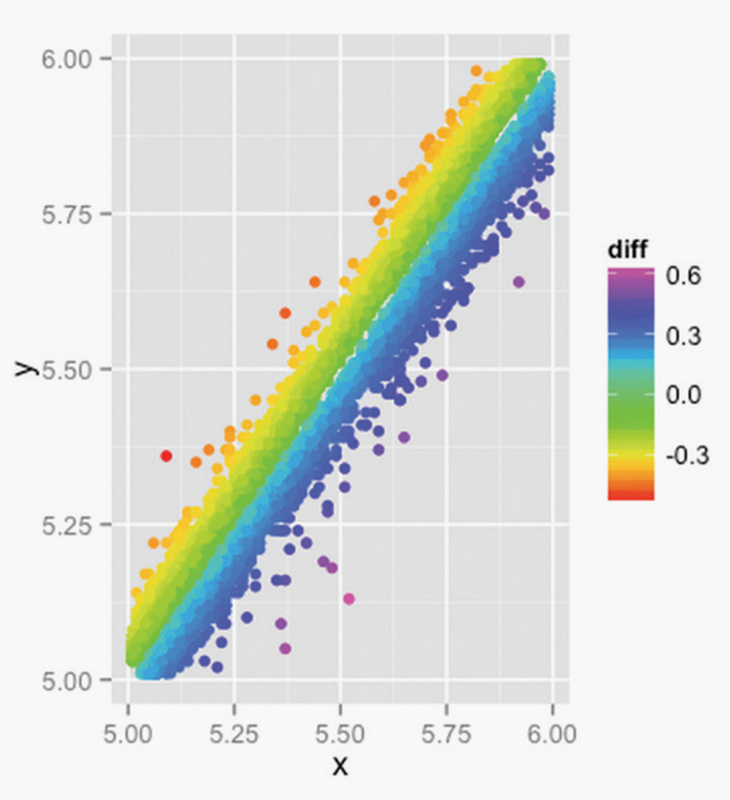 ggplot2 is a package enhancing the statistical programming language R; based on Leland Wilkinson’s The Grammar of Graphics (1999), it enables the user to achieve Tuftean elegance in the visual display of data. 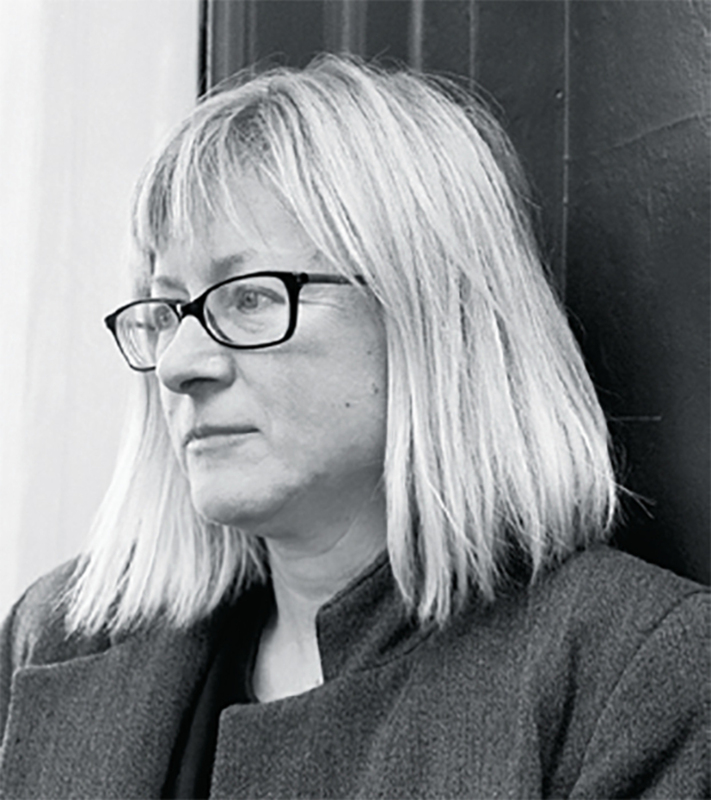 Debord’s Situationism encouraged engagement with statistics and urbanism; by empowering the move from spectator to creator, Wickham permits a radical reimagining of the science of situations in the age of the Internet and big data. Statistical graphic created with ggplot2 data-visualization system. With an introduction by John Ashbery and facsimiles of O’Hara’s correspondence with Lawrence Ferlinghetti, the fiftieth-anniversary edition of this collection is a time machine to a different New York, when the borders between art and literature were permeable, crossings were not policed, and insouciance was the name of the game. Van Gogh’s letters are offered in facsimile, transcription, transcription with original line breaks, and English translation. Having treasured a Dutch edition of the letters for years, I was startled to learn that he wrote to his brother in French after moving to Arles in 1888. In September he painted a sketch of a starry night: “Sur le champ bleu vert du ciel la grande ourse a un scintillement vert et rose dont la paleur discrète contraste avec l’or brutal du gaz.” “Paleur discrète” and “l’or brutal” suggest a contrast between worldly tact and savagery largely lost in the English: “Against the green-blue field of the sky the Great Bear has a green and pink sparkle whose discrete paleness contrasts with the harsh gold of the gaslight.” I needed his words to see the painting through his eyes; it was suddenly possible to get past the grandstanding auctions, the encrustations of cliché. I heard this interview very belatedly, after attending a panel in honor of Pierre Boulez at the Staatsoper im Schiller Theater in Berlin; I could not help seeing the two events as a diptych. Boulez had come with programmatic ferocity to a world where Schoenberg, Berg, and Webern were not part of the repertoireand bent the world to his will. But Yorke fenced with Baldwin like a kind of holy fool. Despite much prodding, he insisted that he did not know what he was doing. There were hundreds, thousands of ideas; the music did not require tethering to masterful intent. The Neue Nationalgalerie was Mies’s last building, a lofty rectilinear space enclosed by glass, steel, and stone. 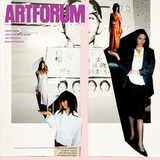 There is a permanent collection of twentieth-century art, and special exhibitions come and go. While much use is made of galleries underground, the building is often cluttered with promotional incidentals. In August, however, I stumbled on an instant of minimalist monumentality: The building displayed only two vast white letters: ZU. (Closed.) Unimprovable. The venue had been under renovation since January and would be for two glorious years. On a street lined with kebab takeouts and insurance offices, restaurant outfitters and a Woolworth’sa showroom of preposterous hats. Scraps of straw and feathers and gauze are affixed to plastic heads perched on small pyramids of hatboxes. Headgear of choice, according to the Fiona Bennett website, for the German aristocracy. For passersby not noticeably surrounded by the designer’s alleged clientele, the shop is the cousin of Prada Marfa: spectacle in its purest form. 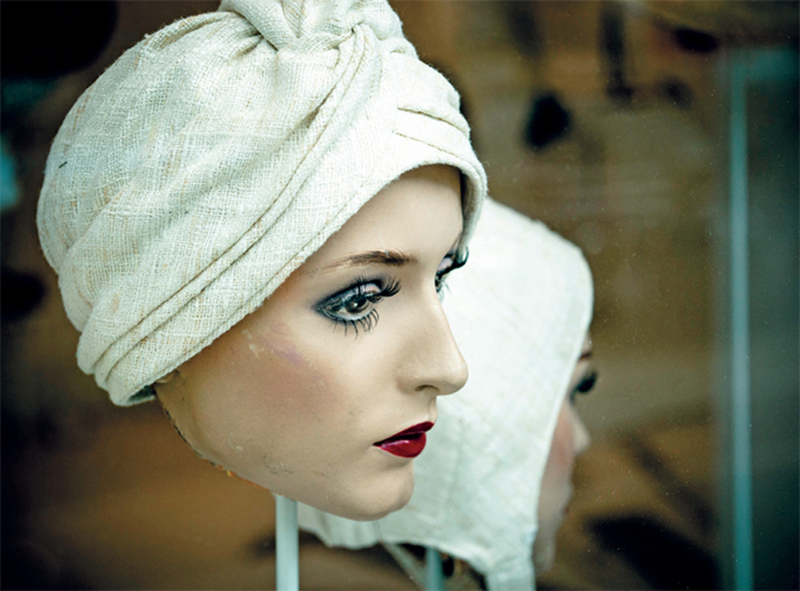 Fiona Bennett window display, Berlin, June 20, 2014. Photo: Thierry Chervel/Flickr. This noir webcomic combines Horne’s photographs, in a wide range of styles and palettes, with typed texts on white cutouts by Comeau. The voices of the psychopath, the paranoid, and the suicidal depressive give a sinister twist to a world visually indistinguishable from the one we think we know. The owls are not what they seem. Have you ever imagined a lifelike miniature version of yourself? No, but I can now imagine persuading an enemy to sit still for this start-up’s 3-D scana realistic voodoo doll is within my grasp. Or my home could have the unheimlich ambience of Terry Gilliam’s Brazil. As flies to wanton boys are we to th’ gods, they kill us for their sport. Fabelhaft. 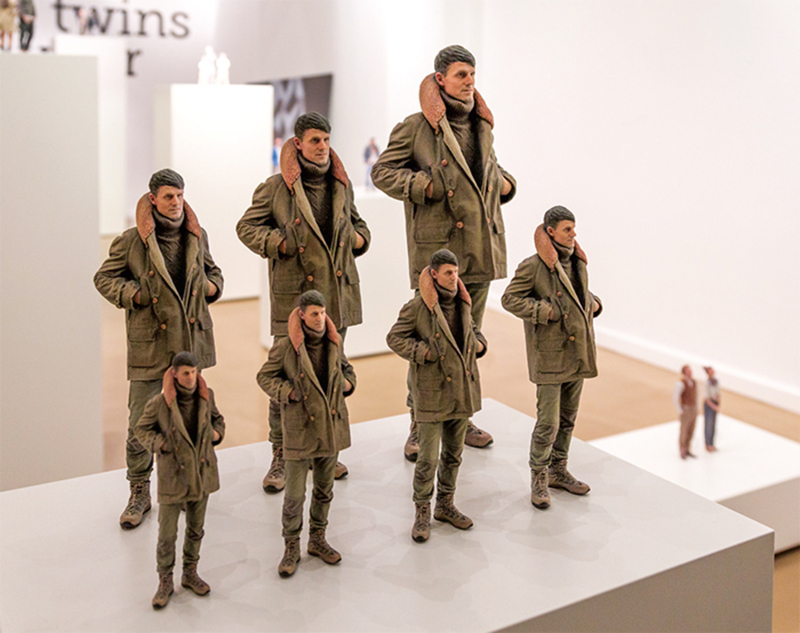 Twinkind 3-D-printed miniatures, Berlin, December 5, 2014. Photo: raffik/Flickr. Zoe Leonard, 1961, 2002–, blue suitcases, dimensions variable. Photo: Bill Jacobson.